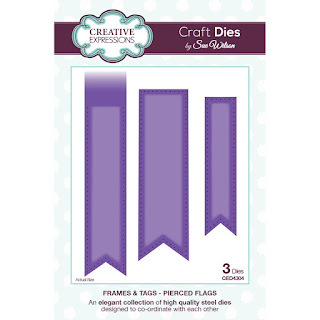 Dies R Us: Hello Sunshine! A sunshine card to make me think that Spring is on it's way very soon! I started by embossing a 7"x 5" card base with a Darice embossing folder. 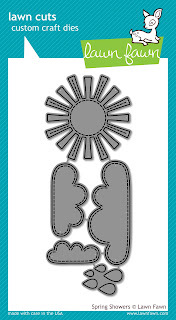 Next, using the Lawn Fawn - Spring Showers die set, I cut the clouds and sun in white card, colouring the sun and edging the clouds with Promakers. 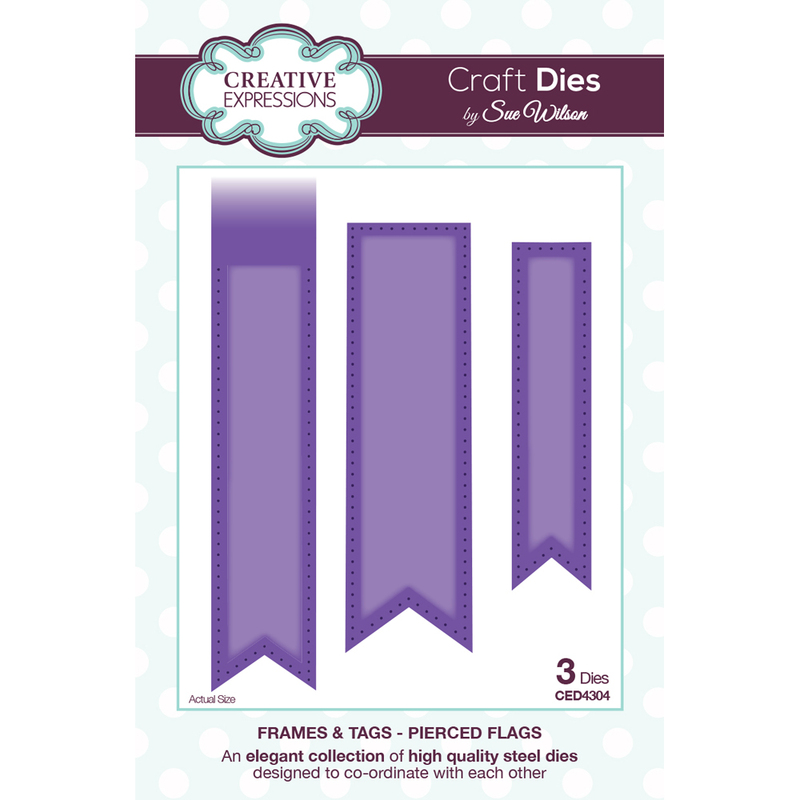 Sue Wilson Designs - Frames and Tags - Pierced Flags, to cut the flag. For the larger yellow one, I used the middle die and white card, which I coloured with a Promarker. Lastly I added the word 'hello', silk flowers from my stash, sequins and diamante gems to decorate. What a truly adorable card Janice! Sending you some sunshine!! Such a cheery card with all that brightness and cute face and cheeks on the sun; love the background and your layout. This is a perfect card for so many occasions. So cute, just brings a smile to my face, love how you tucked the sun into the clouds! What an adorable card Janice. So bright and cheery! I love it. Yep ... made me smile immediately!! 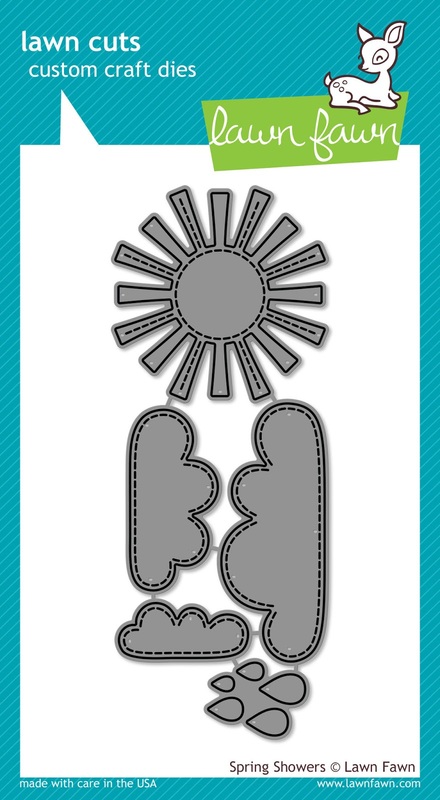 I too like how the sun is coming out from behind the clouds ... very creative!! so bright and cheery! I love it! Love the embossing, that just makes it!